Set in the small community of Roma in Mexico City (not Italy), the story is of a Mexican family in the 1970s. While they are definitely a more well off family than many around them in that economically stressed era, the patriarch’s many trips out of the country are a thinly veiled guise for his affairs, which eventually lead to his leaving for good. The overwhelmed mother (Marina de Tavira) is not the parent the children need, but a young maid named Cleo (Yalitza Aparicio) who works for the family is the glue that keeps them together. 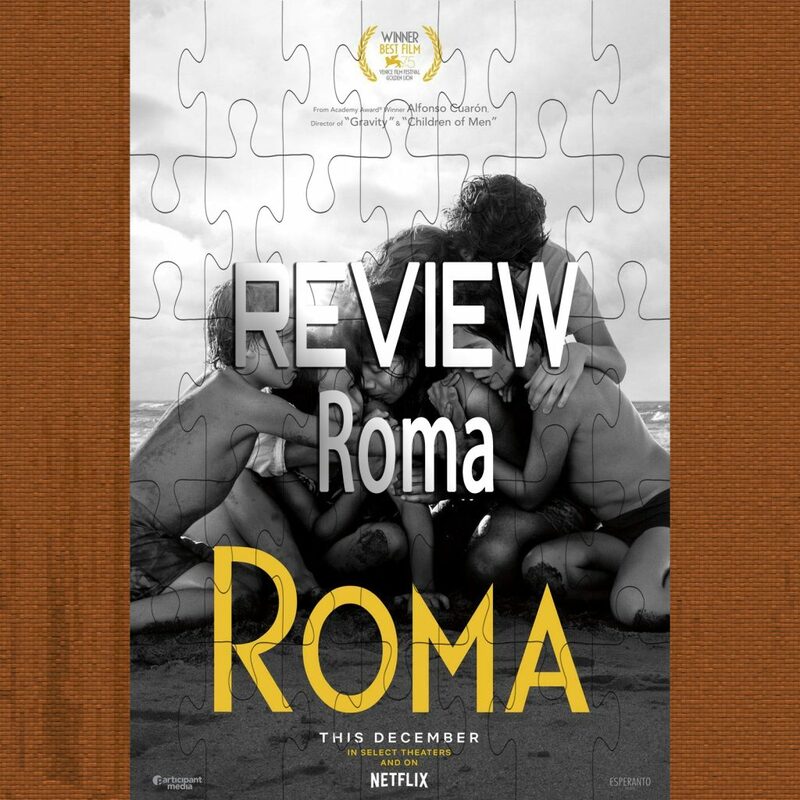 Based partially on Cuaron’s own life (he too owes much of his upbringing to the maid who helped care for his family when his father left at a young age), Roma is a love letter to strong women, particularly those who dedicate their lives to their families, whether that means related by blood or otherwise. The film is bookended by shots of young Cleo working while a plane flies overhead, suggesting another kind of life that she’ll never know, and her story is one filled with struggle and heartache (including some truly devastating moments). But she has love and she has strength and she perseveres. But to be clear, despite the beautiful story, the real star of the show is Cuaron’s cinematography. He’s always had an incredible eye and unique way to stage a shot (Children of Men, Gravity, Y Tu Mama Tambien), but Roma finds him at the top of his game. Shot in 65mm black & white, every shot looks like something that could be paused, printed, framed and placed on the wall of an art gallery. It’s an exceptionally beautiful film from beginning to end, forcing you to take it all in, even when the subject matter can be difficult to watch. Along with the beautiful visuals is incredible sound design (keep in mind there’s no score) in which all the sounds of Mexico come to life in a completely natural and real way. I can’t complete this review without coming back to the theatrical debacle that this movie’s release was thanks to Netflix. Don’t get me wrong, I get it. Not every movie can get the budget needed to be produced nowadays… Especially a foreign language, depressing, black & white film. But lets be real… Roma is a major release from a highly respected and celebrated filmmaker. It is a huge awards contender. And as I’ve touched on in this review, the cinematography and sound are absolutely meant for the theater… Yet Netflix financed the film, and they didn’t do it just because they are fans of cinema. They did it to keep people away from theaters and keep them glued to their home TV. Sure they gave the film a 50 screen limited run just to qualify it for Oscars… But if you don’t live near one of those screens, you’re out of luck. And yes, plenty of indie films get small releases that are difficult to seek out in theaters. But again, we’re talking about one of the biggest releases of the year for those that follow prestige cinema. It’s a shame, and it was an unnecessary struggle for me to get to see Roma in a theater (and thankfully I did because that amazing sound design I spoke of includes a lot of dogs barking which would have set off my furry family the whole time haha).